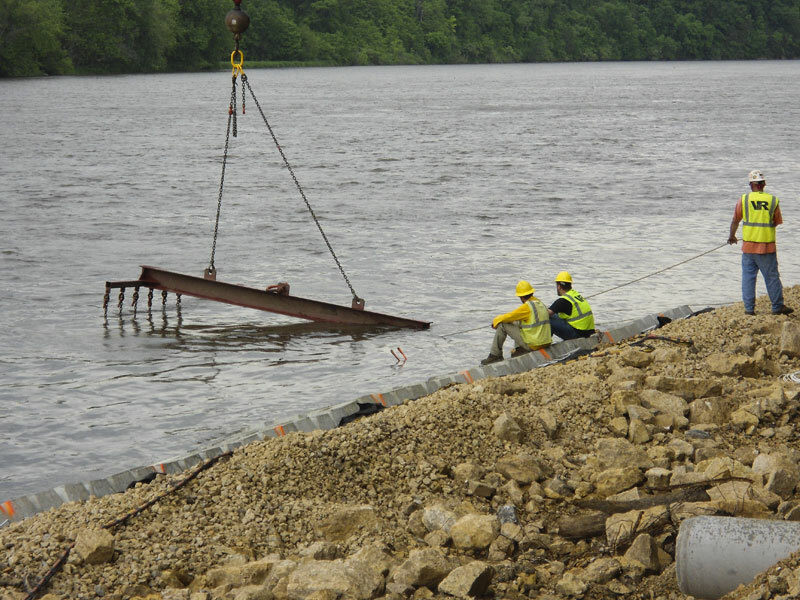 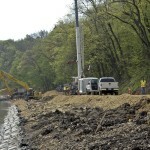 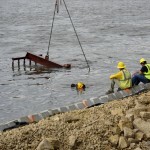 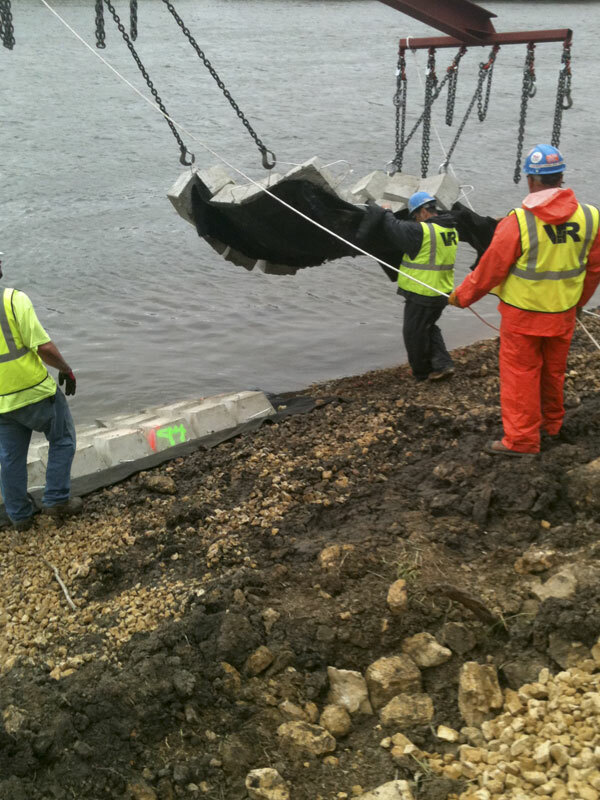 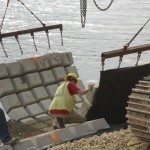 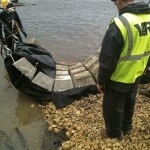 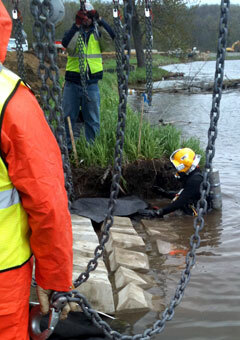 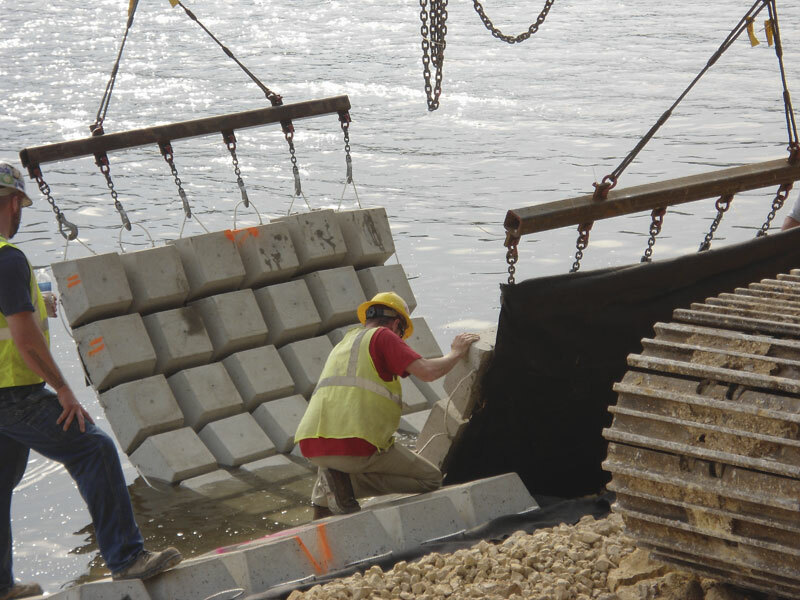 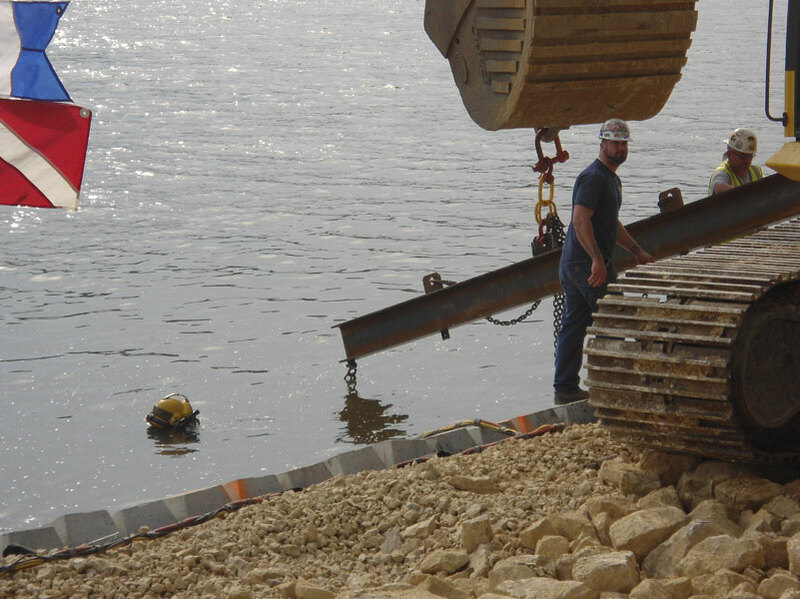 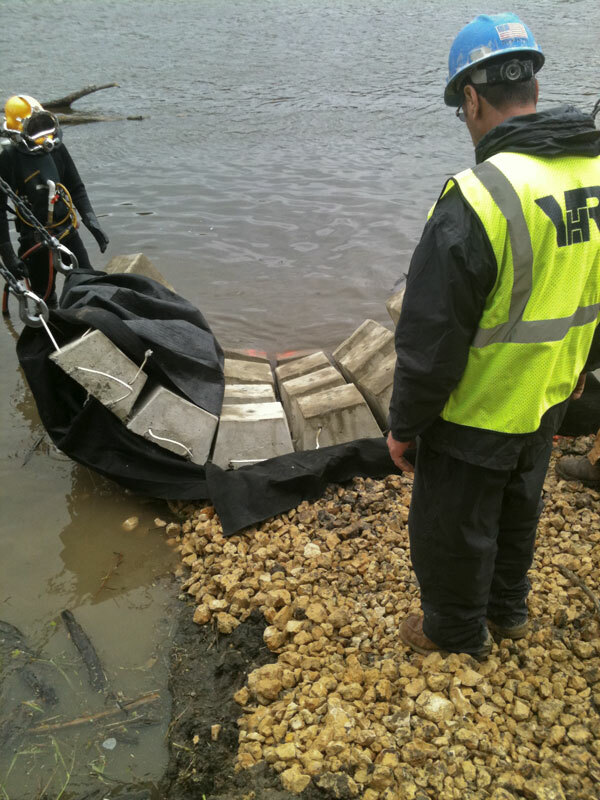 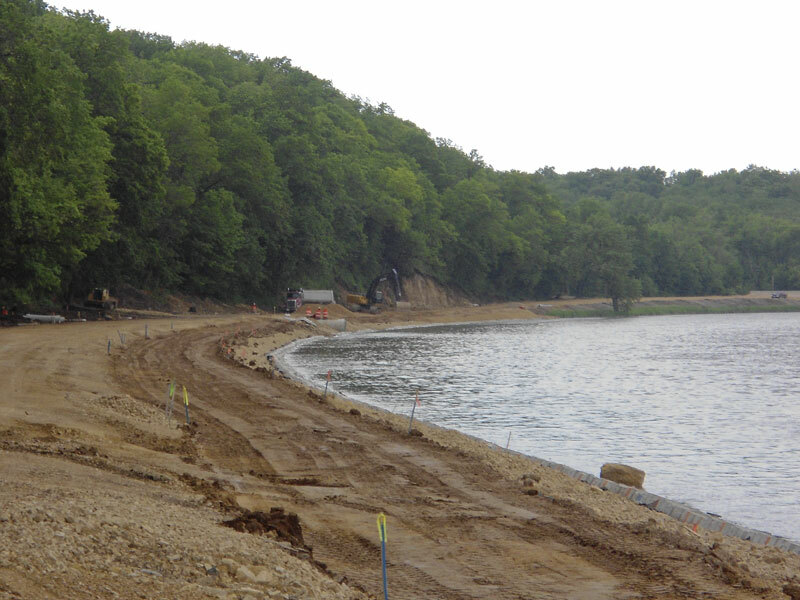 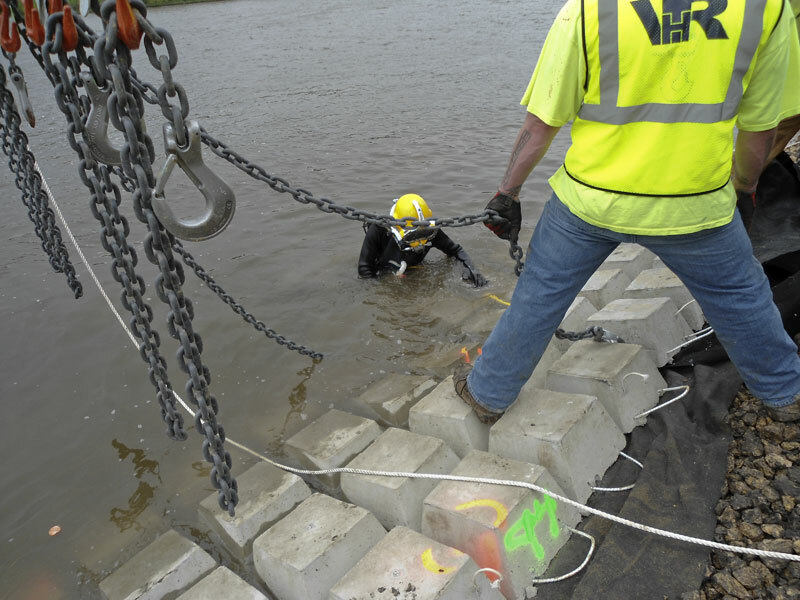 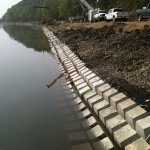 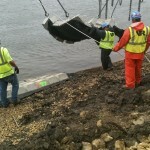 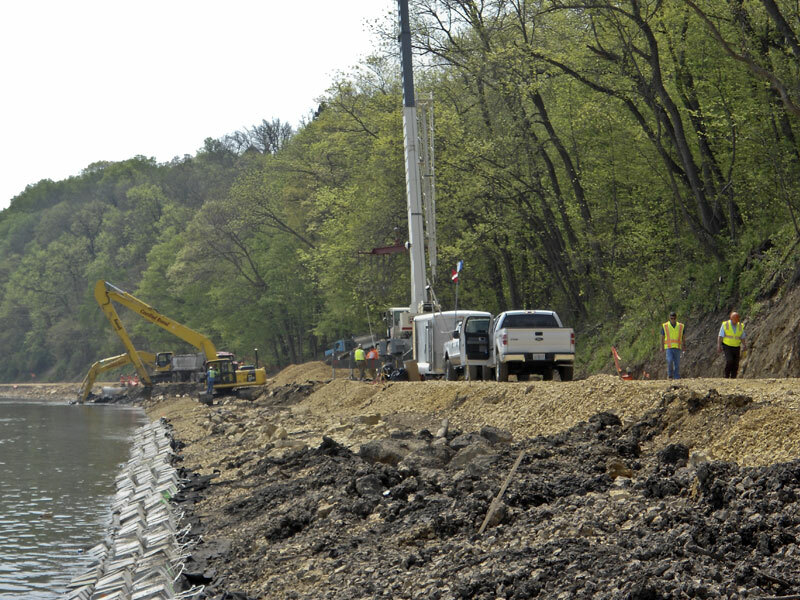 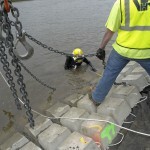 VRHabilis was hired to install concrete revetment mats for shoreline stabilization both above and below the water line on the Rock River, along Highway 2 between Byron and Oregon, Illinois. 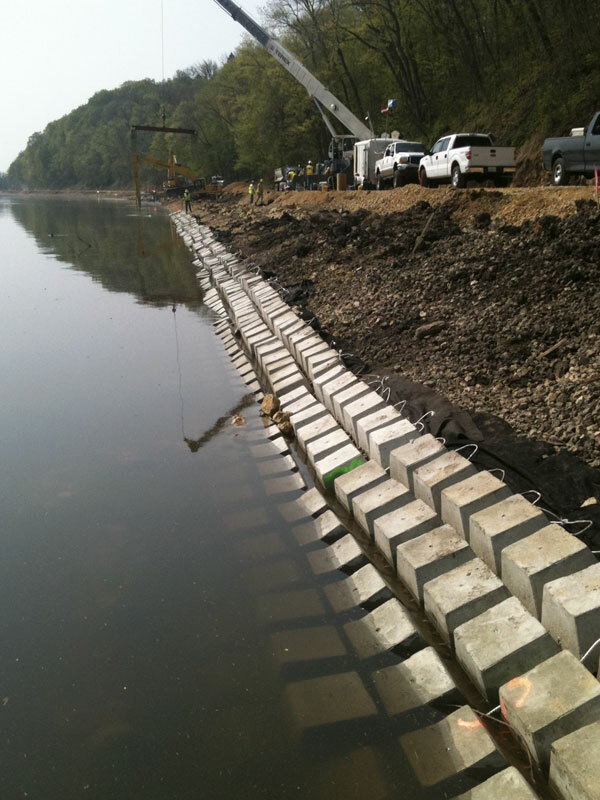 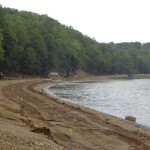 This innovative project was performed for the Illinois Department of Transportation to allow for the expansion of the Highway and to protect the river banks from ice floes and high water erosion. 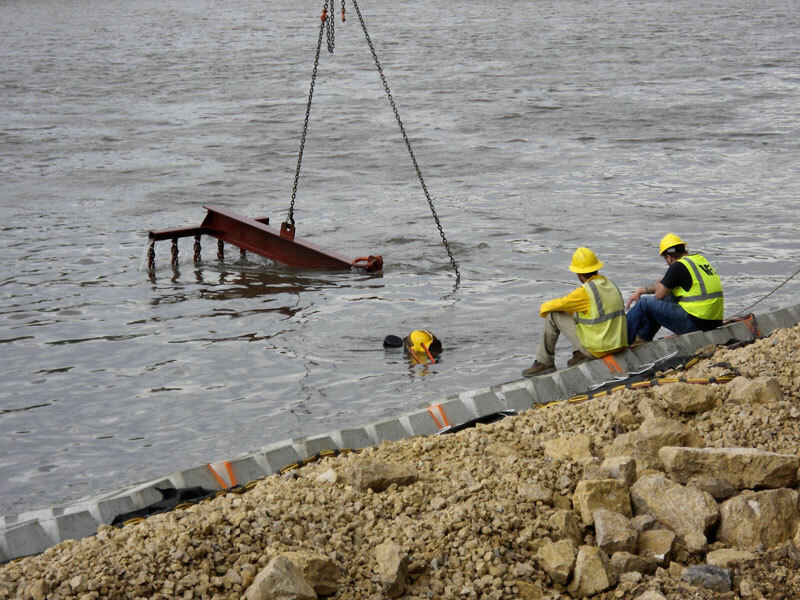 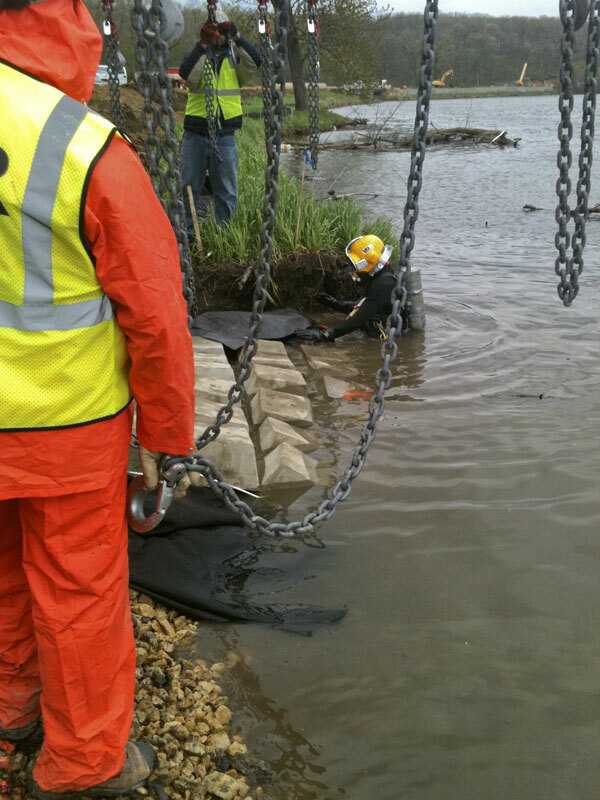 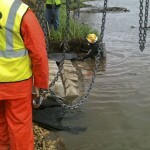 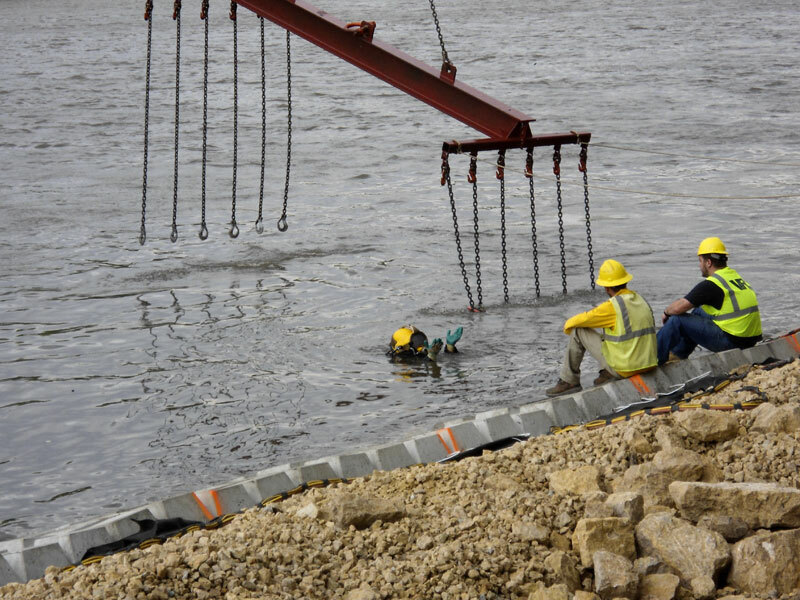 Using GPS guided systems on “Long Stick” or Extended Boom Excavators with reaches up to 60’ needed due to the depth of the water and length of the slope, these revetment mats were installed below the water line, guided by the dive team. 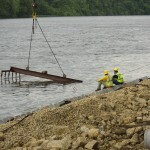 The project involved underwater excavation, above and below water placement of the concrete mats, placement and grading of stone and coordinated operations with the diving crew, crane, excavators, haul trucks, delivery equipment, and other highway construction crews working on the site at the same time.